Anyone who has been on a plane has experienced some kind of change to their body during a flight. It might have been slight, or a big, undeniable change, but it was there. If you're like me, you may be one of those travelers who catches a cold every single time they fly somewhere. Let's start there. I've always stood by this one. I don't get sick often, but I always do after flying somewhere. It's true! This is because there is near no humidity in the re-circulated air of an airplane, and cold/respiratory infection viruses thrive in these conditions. You're over 100 times more likely to catch a cold when flying that not. What can you do to avoid getting sick? Well, there's no guarantee that you're going to avoid it, but you can take some precautions. Sanitize with disinfecting wipes and wash your hands when on a plane (use water and soap or hand sanitizer), and avoid touching your face if you can. Being up in the air 39,000 feet can leave some people feeling nauseous merely because they know they are that high up. However, it's probably also because of the oxygen deprivation in the cabin. This also makes people feel tired and can cause headaches. According to a recent study, the air pressure in a cabin is only 75% of the atmospheric pressure. How can you get your head back? Keep hydrated during a flight. Something as simple as that can really help you feel better. With humidity levels on the airplane at as low as 4%, your mouth and nose can dry out. During a three-hour flight, your body can lose 1.5 liters of water. Be sure to drink lots of (bottled) water on a flight and use eye drops and lotions during a flight. Create your own personal hydration station. Food just doesn't taste the same on a plane. Anthony Bourdain told bon apptit magazine earlier this year that he just won't eat food from an airplane. 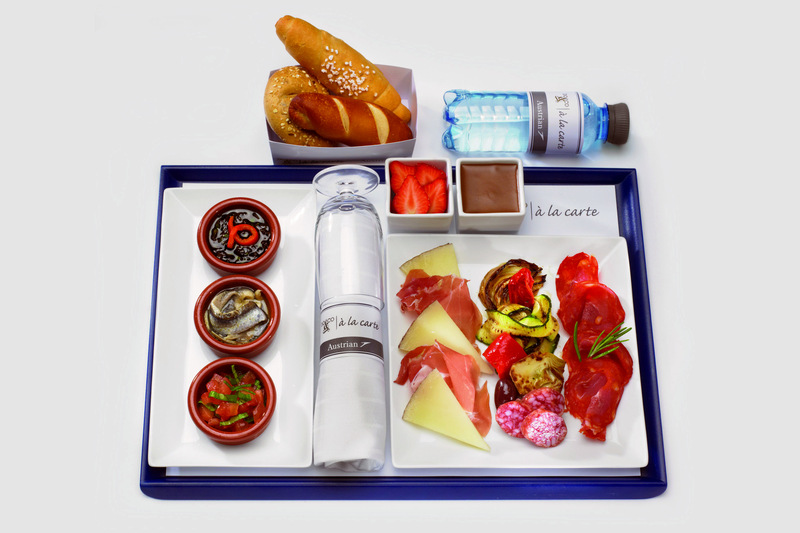 bon apptit: Do you eat the plane food? AB: Never. No one has ever felt better after eating plane food. I think people only eat it because they're bored. I don't eat on planes. I like to arrive hungry. One third of your taste buds are ineffective in the high altitudes of a flight. Changes in air pressure and the dryness of the cabin affect your taste buds and sinuses (as well as your hearing). How can you spice things up? Stay away from sweet and salty foods, because those are the flavors that are hardest to taste during flight. Instead, look for savory dishes (often called "umami"), BBQ, or foods with a lot of spices added. Let's add to the uncomfortableness of flying with bloating, eh? It's an unfortunate side effect for many that is (again) due to the change in air pressure. That air pressure change also works against your body's blood, and lack of movement can cause blood to build up in the legs. How to get it all moving? Get moving! Get up every now and then and take a walk around the cabin to get the everything circulating again. This can all be a tad annoying, but flying allows us to see parts of the world that we otherwise wouldn't be able to see. A few hours of slight discomfort are worth it in the end, don't you think?